The "Don't Let the Shadows Win" thunderclap was tweeted and Facebooked out today at 11am by 833 people with a social reach of 2,583,718. These tweets/facebook posts were then retweeted thousands of times and lots of people added in their own unique posts saying how they feel about hen harriers. As a result hen harriers were soaring high for a while on social media and this continued to raise the awareness they desperately need. A massive, massive thank you to everyone that signed, retweeted, posted and shared. "Every act of evil unleashes a million acts of kindness. This is why shadows will never win while there is still light to shine." As I sit down to write this blog post, 689 people have signed up to the "Don't Let The Shadows Win" thunderclap and it has a social reach of 2,452,898. So basically, even if no-one else were to sign, on Tuesday 21st March at 11am, a tweet will go out from each of the 689 people that have signed up and that tweet could be seen by all their followers and the followers of anyone else who retweets it, and that is why a thunderclap can be so powerful for awareness raising. So I guess this blog is really a last call and a checklist to try and do everything possible to get #HenHarriers to trend on social media on Tuesday and reach out to people who may not be aware of the unacceptable persecution being faced by raptors in the UK. Sign the thunderclap if you haven't signed it yet. If you have signed, have you signed the Thunderclap using all your Twitter and Facebook accounts or just one of them? Please could you sign them all up. Could you put a link on any blogs you post before 11am on Tuesday? A tricky one next, but could you get your MP to sign up? You never know! Could you ask just one other person to sign up. 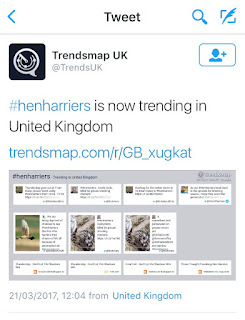 From about 10:45am to 12:00 please include #HenHarriers in every tweet or Facebook post you do. If you are not going to be able to tweet live on the day, could you schedule a tweet to go out? The more tweets that go out, the more chance we have of getting #HenHarriers trending and talked about. Put a reminder into you phone so you don't forget to join in. You could tweet about what hen harriers mean to you and about how you feel about what is happening to them. Tweet links to blog posts that have information about hen harriers, there are some fantastic blogs out there including the ones from Mark Avery, Raptor Persecution UK and of course the RSPB's Life Project. But however you choose to do it, please get involved and help speak up for #HenHarriers. Thunderclap - What's The Point? So firstly a massive thank you to everyone who has already signed up to the "Don't Let The Shadows Win" Thunderclap. As I write this, 475 people have signed up and it has the potential to be seen by nearly 2.3 million people when it goes out on 21st March. But really, is there any point in a Thunderclap, will it make any difference? Well, there have been a few interesting tweets this week in relation to these very questions. I have of course tried to answer some of these comments on twitter, but it is a bit of a struggle in just 140ish characters per tweet. So I thought it might be better to do a blog post to explain why I still believe a twitter storm and a thunderclap going out are worth the effort. Now, I do not think for a minute think that a thunderclap alone will necessarily change anything. 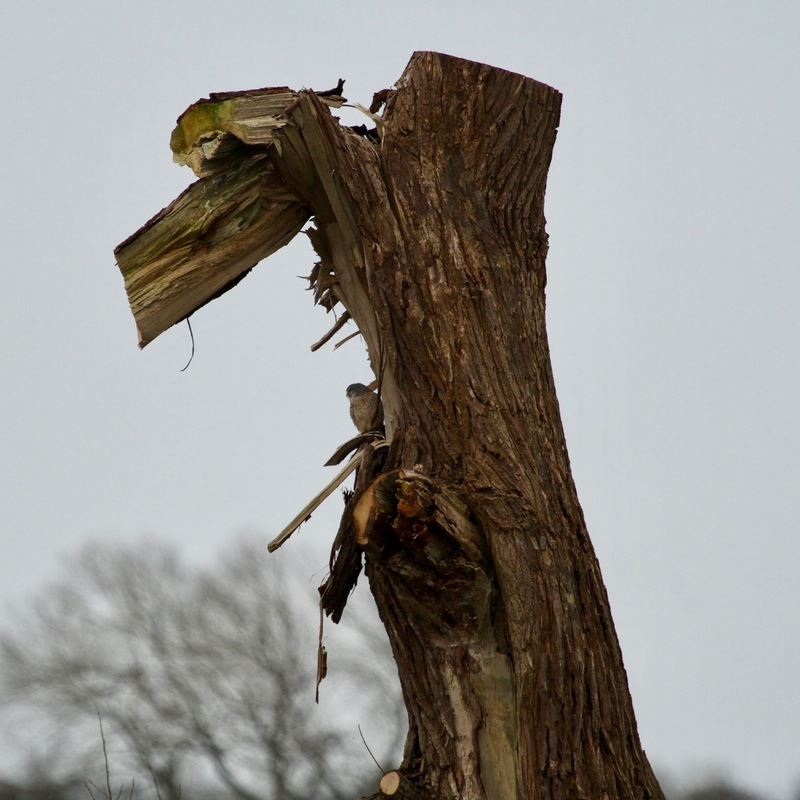 But I do believe that over the last few years more and more people have come to understand more about raptor persecution because of the regular drip feed of information through all sorts of different media. 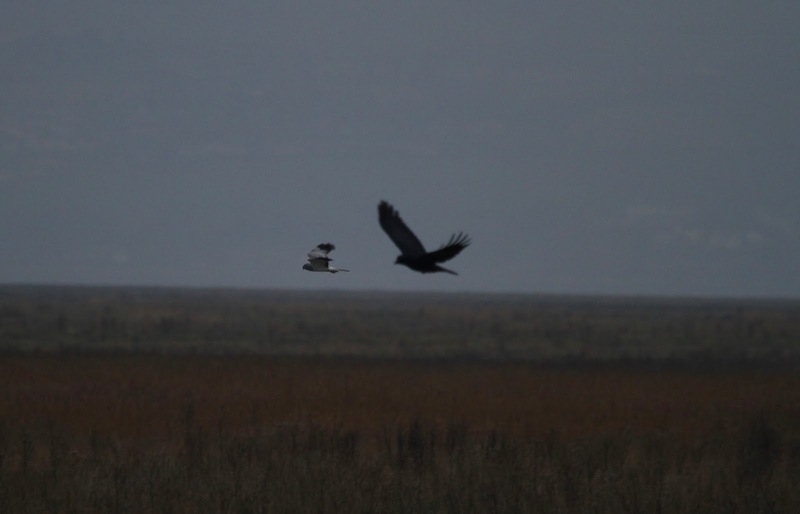 And yes many of the people that have signed the Thunderclap are people that know about the hen harrier story, but by no means all of them. I looked through the list of 473 people just moments ago and there are people from all different walks of life and all different backgrounds and also includes politicians, TV personalities, businesses, birding magazines and NGOs; but when you dig even deeper than that, and look through their followers, then you see the opportunity to reach the people who maybe haven't even heard of a hen harrier. When the thunderclap goes out on 21st March, it is the followers of the people that have signed it that you hope to reach out to, and I don't believe for a minute that all 2.3 million of them know that only 3 pairs of hen harriers bred in England last year when there should be over 300 pairs. Action comes in all different forms and an issue needs to be tackled from lots of different angles. 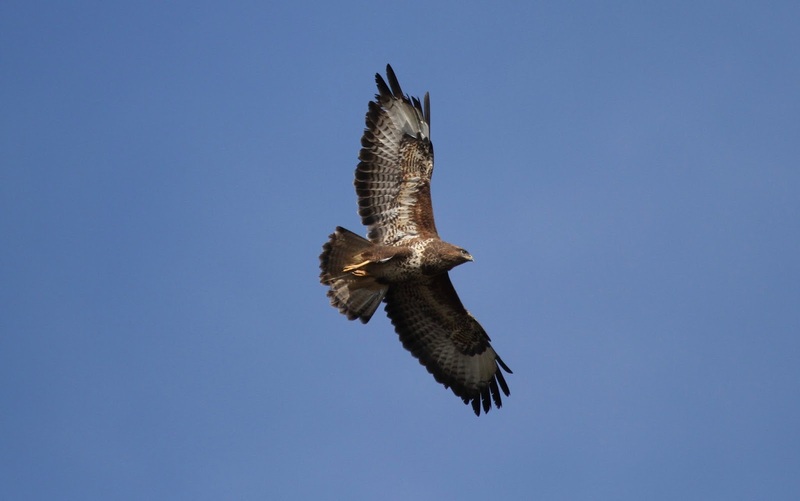 The satellite tagging projects, the monitoring of the birds, the campaigns by the bigger organisations and the messaging of MPs all play a part, as of course does the hands on getting out and getting evidence; but not everyone is in a position to do that, so you help how you can. So the realistic objective of the Thunderclap is to keep hen harriers being talked about in between the bigger, more active things that happen. 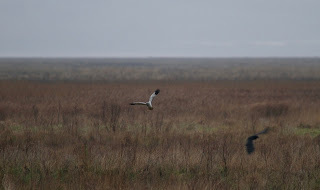 If #HenHarriers was to trend on 21st March, then even more people would get to know what a hen harrier is and what is happening and even if it is just a few more people, then progress has been made. But one thing I feel for sure is that it is better to try something than do nothing. We should all keep standing up for wildlife in anyway we personally can and of course support all the other different approaches being taken by others. If you would like to sign up to the thunderclap and help it reach even more people, then please click here. 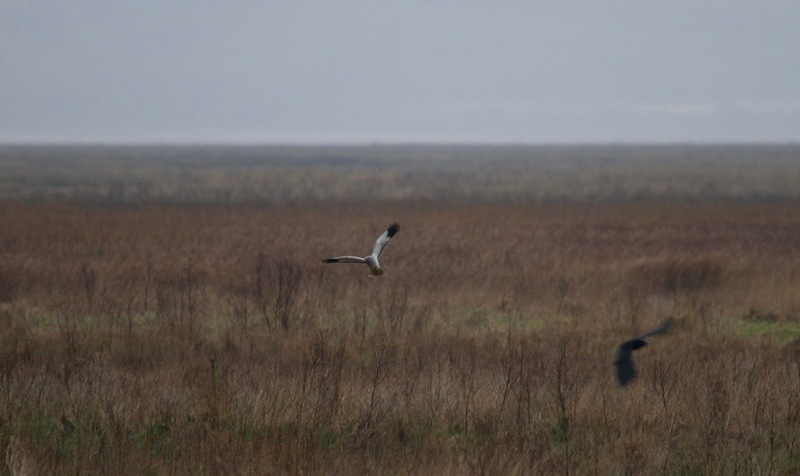 And please make a note to tweet using the hashtag #HenHarriers on the 21st March at 11am. Thank you. After 2 fantastic patch months of birding already this year, I couldn't wait to get out again and kick March off. I started the morning at the Rilshaw Lane (or bottom end) of Winsford Flash, being greeted by some (certainly overdue) sunny weather that made the reflective water and birds on it look spectacular. 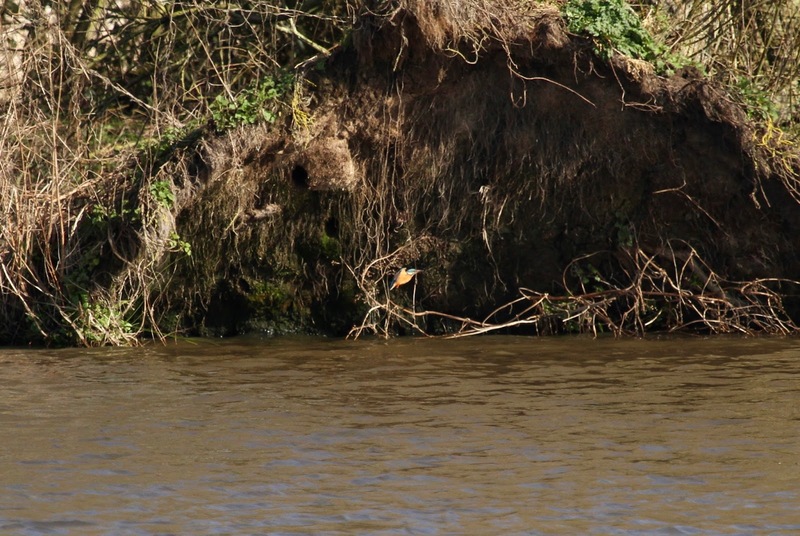 After the recent heavy and continuous rain, the scrape was waterlogged to the point that it was not even visible; however 33 black-headed gull, 2 herring gull, 1 common gull, 1 teal and a single snipe were still present. 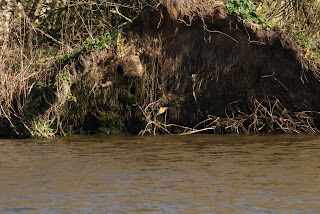 With not much else on show, I moved on to view the entire bottom end, but despite my best efforts not much was picked up bar 12 great crested grebe, 120 canada geese, another 70 black-headed gull and 7 cormorant. On the walk back to the car I picked up a few nice woodland species such as nuthatch and bullfinch in their usual areas (2 of the former, 5 of the latter). The top side of the flash was certainly the most productive side today, and almost instantly on arrival I picked up 10 waxwing heading over the horse paddocks; which is a patch first!! 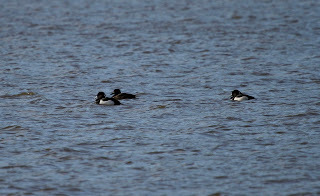 Sadly they didn't settle, but this finding certainly spurred me on for the rest of the morning. 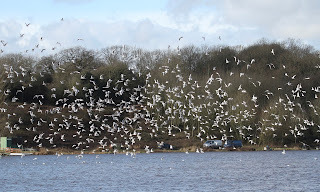 With not much else about in the paddocks I headed over to the sailing club to see what gulls had dropped in, and I was delighted to discover a gathering of about 2000. 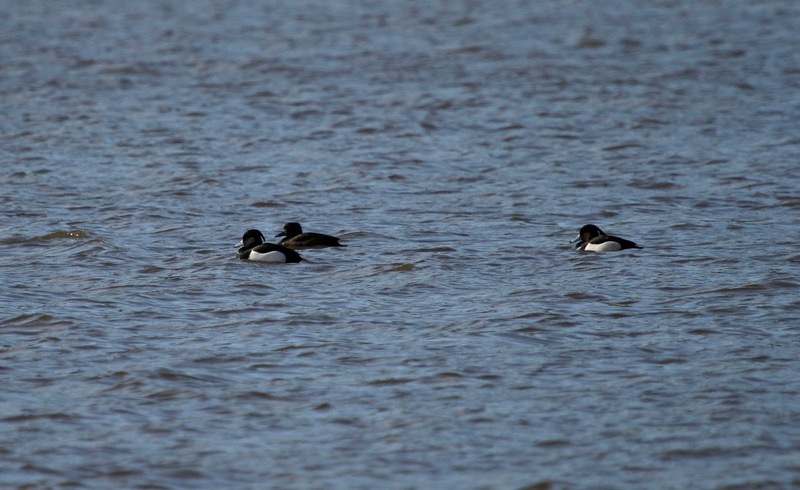 After a thorough grilling of these individuals, the species of note were 3 adult med gulls. 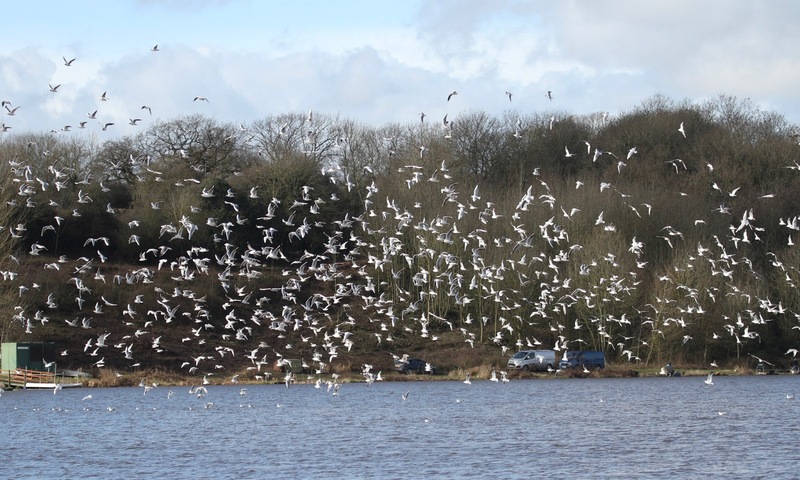 The majority of the flock were black-headed gulls, which is expected for the time of year (numbers have been building up for last couple of months). After picking out what I could from the gull flocks, I decided to walk the spit separating the River Weaver from the Flash. 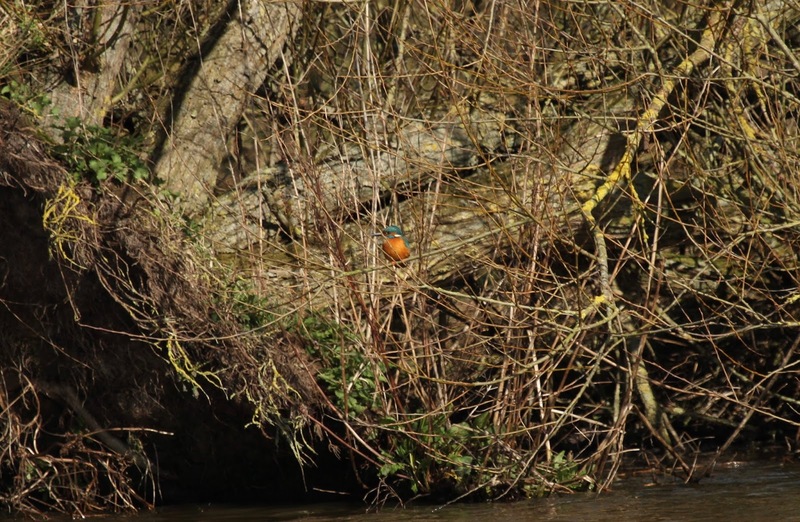 I enjoyed lovely views of 2 kingfisher zipping up and down the river. I also got great views of more scarce Flash birds such as tufted duck (3) and wigeon (14) on the opposite side (although the wigeon failed to settle on the water and just kept circling). I got myself into an even better and closer position to scan the gull flock again; however despite the change of scene nothing else was picked out. A group of about 21 coot had however made their way out of the Flash to feed in one of the paddocks. 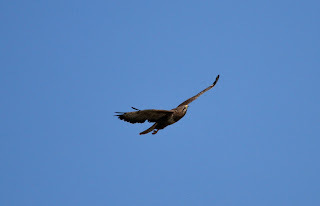 Raptor wise, 4 buzzards were up and about making the most of the nice weather and keeping a close eye on each other, and the 2 kestrels were in their usual field site. 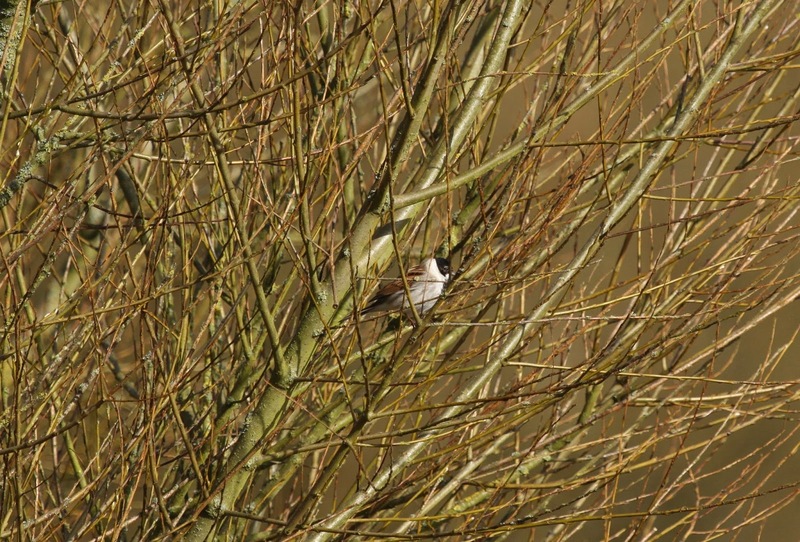 On the return walk it was nice to see up to 7 reed bunting hanging about in the reedy, scrub areas adjacent to the waterway with a few singing males also worthy of note. 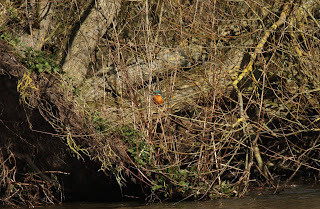 The stonechat was also still present in the same area as the week before. 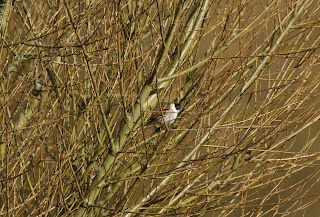 The real surprise however, came when I reached main scrape... Apart from 9 teal and 4 coot, in the opposite hedgerows I picked out a stunning tree sparrow which is certainly a scarce patch bird. Another fantastic morning of patch birding. With some of the species now, I almost feel that we are old friends, especially the Kestrel pair that always turn up to greet me. 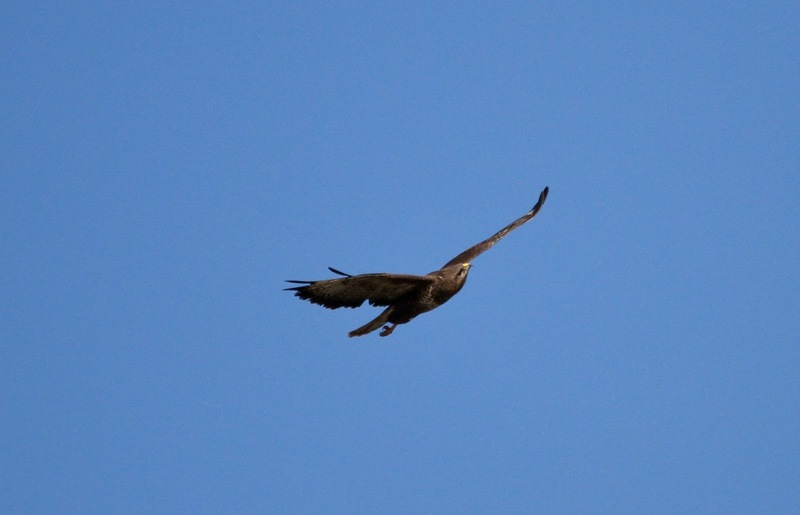 And with raptors in mind, please think about signing up to the "Don't Let The Shadows Win" thunderclap due to go out as hen harriers return to the uplands for breeding season.